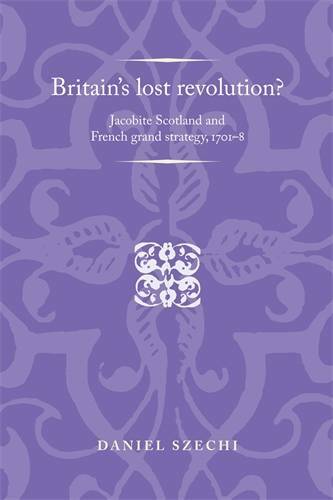 'Published in the year of the Scottish independence referendum, Britain's lost revolution? is a deeply researched and readable account of the alternatives that existed at the time of the Anglo-Scottish Union of 1707. It presents a lost past of radical change and European realignments. Built on totally new research in UK and international archives, Szechi tells the story of the revolution that never was in a way that illuminates the present and provides endless opportunity for counterfactual history. This is a What If? book par excellence' Professor Murray Pittock, University of Glasgow 'This book is a significant contribution to Jacobite studies and is a great addition to Daniel Szechi's already impressive body of work.' Kirsteen M. MacKenzie, University of Aberdeen, Northern Scotland -- .